New in! I think you've all notice the burgundy colors in the stores right now. Great color for autumn and winter. I bought this shirt together with a pair of boyfriend shorts at Monki. I love this store, and the autumn winter collection they already have is so nice! I wish I had more money to spend on clothes.. The Scandinavian Fashion label is becoming more popular and bigger. 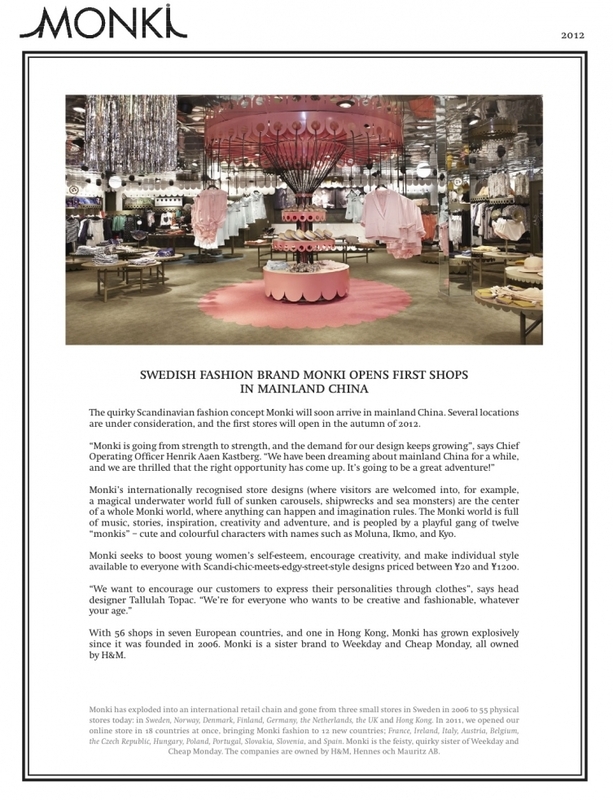 Upcoming winter they will also open a few stores in China, you can read the press message below. Monki is a great store, in this post you've seen my Monki clutch that I use almost every day!